So recently on my walk to the karaoke bar downtown I like to frequent, I discovered a new club has opened up on route - but not your typical overpriced downtown Toronto nightclub. No, this is a place that looks, for all intents and purposes, like a country bar. And every time I walk past that bar wearing my cowboy boots and my heavy leather coat, I always have to restrain a smirk at the massive line of people trying to dress 'country', or at least in a way that blends it with standard nightclub wear. Because let's be completely fair here: most of these guys and girls would not be listening to country music if it wasn't for Taylor Swift or the rise of bro-country, and I know that more than a few of them likely threw country music under the bus a good five or six years ago. But if I'm being embarrassingly honest, I can't help but feel really quite happy at the popular revival among my generation that seems to be happening with country music. Because, sure, a lot of them are only jumping on the bandwagon for Luke Bryan or Florida Georgia Line (or, if they're in a more antisocial mood or want to be secure in their masculinity they'll go with Eric Church), but of that generation there will be an increased number of people who'll go deeper and find better country music beyond the popular trends, maybe in the past or in the alternative or underground scenes. And with more media outlets and critics starting to cover country music, it gives me hope that the under-served genre can be revitalized in the critical discussion. So on that note, let's talk about Lydia Loveless. Her major label debut album Indestructible Machine came out in 2011 and immediately attracted some buzz because of Lydia's fusion of classic country and punk rock - and it is awesome. The best way to describe this album would be a fusion of Hank Williams III's production and acerbic wit, Danielle Bradbery's voice, and Exile To Guyville-era Liz Phair's brand of cutting, yet vulnerable and emotionally poignant feminism. It was raw, unbridled, and distinctly memorable, with sharp lyrics and even sharper delivery, so it was obvious I was going to be interested in her follow-up this year with Somewhere Else. How did it go? Well, it's not quite as good as The Indestructible Machine, but it is a very good album and is definitely worth your time. I'm also fully aware that many of the elements that drop Somewhere Else down a few pegs for me won't be the same as a larger, mainstream audience, to which this album could be more easily pitched. It's in the fine details that leave me feeling a bit distant towards this record, and if you're not looking for them, they're easy enough to overlook. First, let me stress that many of Lydia Loveless' good elements are still on display here. Her voice, rough and raw yet clear and strong, is still as great as ever, conveying a ton of emotion and real presence that gives her songs wonderful texture. Her songwriting is sharp and loaded with barbed comments and crushingly real subtext beneath the surface. And the instrumentation still toes the line between rollicking alternative country and hard-edged punk. But it's in the instrumentation where you'll notice the first big shift, a move towards more neotraditional mid-90s country, albeit with harder guitars. Now this does work - I grew up with 90s country, and it's a good sound for her - but the production doesn't always help her as much as it should, mostly because not all of the rough-edged punk distortion or crisp guitar texture makes it through. The sound is more rounded and it favours the steel guitars well, but sometimes the tonal choices clash a bit with Lydia's delivery and I do miss the rougher sound. Indeed, this album does remind me a bit of how most punks with inclinations towards the mainstream gradually soften their sound, and this also extends to the lyrics, in that they aren't quite as vulgar and harsh. They're still rougher than your average mainstream country song, but the punk elements have been eased back and that unfortunately means the songs don't have the same individual flavour. And while the technical songwriting is still strong, it's not quite as effortless fluid and memorable as it previously was, which I did find to be a disappointment. Granted, that's mostly a factor of the change in the album's theme and lyrical presentation, and it's arguably here where I find myself with the biggest 'issue' with Somewhere Else. See, where The Indestructible Machine framed its feminist undertones starkly and tackled political issues head-on, Somewhere Else frames its undertones and subtext throughout a series of songs about troubled relationships. And while I get the change in direction - Lydia is in a much different place than when she wrote her previous album - it comes across as having less unique flavour and another step towards material the mainstream could swallow. And yet, Lydia Loveless makes this change work in the bigger picture. She might tackle conventional subjects like late-night calling an ex in 'Really Wanna See You', a relationship flame-out in 'Wine Lips', drunken hookups in 'Head', tumultuous relationships in 'Verlaine Shot Rimaud', and loneliness in the title track, but it's a combination of her delivery and her frank refusal to cut away and spare us the grimy details that lends the songs a lot of power. The deeper subtext of this album is that most of these situations arose simply because of the inevitable passage of time, from failing relationships to the decay of former idols on 'Chris Isaak', a theme that leaps to the forefront on my favourite track of the album, 'Everything's Gone', where she returns home after a long time on the road and how many things she cherished and left behind have just vanished away. It lends the album a melancholia that really seems beyond Lydia's years, and it's played with heartbreaking honesty that you really feel for her. 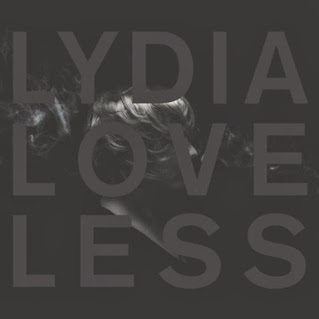 So look, I'll admit that I have a personal preference for the harder-edged, more punk-inspired songs that Lydia Loveless writes and thus a move towards country relationship songs wasn't one that I found all that exhilarating. But that doesn't make Somewhere Else a bad album - just not one that really resonated with me as strongly as I'd like, because there are still great songs on this record like 'Head' or 'Everything's Gone' or the title track. But the shift she makes on this album reminds a bit of Dessa's artistic shift in Parts of Speech, in that there's more a reliance on emotional appeal and delivery over visceral songwriting, and I'm not a huge fan of that shift. So I'm giving this album a 7/10, but I'm definitely going to recommend it, especially if you're looking for punk-inspired alternative country that has an edge. And if Lydia Loveless is moving towards mainstream acceptance... well, the more who hear her, the better, so check this album out.